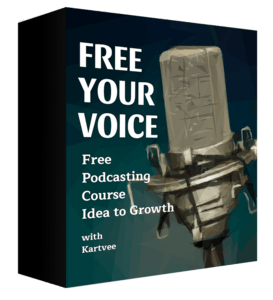 Podcasting is a great way to grow your personal brand or business. And when it comes down to the brass tacks, asking questions to someone and recording their answers is the quickest way to put up audio content! That’s exactly what podcast interviews are all about. You can’t find the right answer if you’re asking the wrong question. Asking questions is not as easy as one might think. But if there’s a topic or niche you are curious about, and some good questions in that space, podcast interviews are the best way to start a podcast. That’s exactly why I’m writing this article. I recently took a look at some of the top 500 podcasts across multiple genre to see how the best interview-based podcast interviews are done. I boiled them down to 6 types. This is certainly not the first time I’m writing about podcast interviews. Even in the last article I wrote about the different interview-based shows you can draw inspiration from. The idea in this article is to help you draw inspiration from these 6 of the formats of podcast interviews, so you can create your own unique show. Without further flipping and flopping around this idea, let’s tear things apart. This is perhaps the easiest to produce when it gets down to execution. In this format you prepare a set of questions for your guest and send them to your guest. There are two ways you can go about the actual interview. If your guest is comfortable recording their voice and sending, you can ask them to record their answers and send you the MP3. The second option (and the one I’d recommend) is to get on a Skype call with your guest and ask them the questions however you want. The goal is to record their answers. And once you have them, you read out the questions like it’s “the God’s Voice” in the final edit, instead of your actual conversation. This kind of podcast interviews are fairly easier to produce as you just need the questions appropriate for each guest. You really need not be worried about how the conversation flows, the tone of your voice, etc. Here’s one example of this from This is Product Management Podcast. Back in the days when I went to school, I’ve seen this type of interviews so often in sports magazines and celebrity interview columns in film magazines. Well this type of podcast interview is obviously not from the list of podcasts. They are indeed an inspiration from magazine columns. But they are a great way to help you get started with your podcast and even continue doing it on the longer run. If you are an author or writer who’s looking to profile the top people in a certain space for your next book or article, it could be a great idea to record those interviews and repurpose them as a podcast. A good podcast that comes to my mind here is Hack the Entrepreneur Podcast by Jon Nastor. He also published a book based on the interviews he did that you can find on Amazon. Here’s an episode for you to listen in. This is actually a format I’ve used on The Design Your Thinking Podcast. Let’s say you have a podcast on ‘Entrepreneurship’. You might have guests on different topics like ‘How to run a successful Facebook Campaign” or “How to Grow Your Online Brand”. For each of these topics you can find 5 or more guests who can help you dig deeper. These podcast interviews can turn out to be highly engaging to a segment of your listeners who are actually interested in that topic. A great way to use this format of interviewing is to segment your listeners in your email list, but that’s a topic for another day. But if you are looking for a good example for this kind of an interview, I can’t think of a show better than The Smart Passive Income Podcast where Pat Flynn digs deep into a topic in an episode. Here’s one he does with a guest on Branding. Now what is this ‘Rabbit Hole’, you might ask. Well, I’ve described Rabbit holes (and Rat holes) in detail before. But in the best interest of time, a ‘Rabbit hole’ interview is a deep and engaging interview where you go deeper through questioning. Rabbit hole interviews are a very engaging format of doing podcast interviews. It works great on audio and video. Here’s an example of a Rabbit hole interview of a lead guitarist in a band. The Rabbit hole goes deeper with more questioning. As humans we are tuned to both tell and listen to stories. Imagine you had a great conversation with someone, and later we met and I asked you to tell me about that conversation. How would you do tell? You jog through your memory. You narrate what happened in that conversation. A Narrative is a great instrument when it comes to forming deep and engaging conversations or interactions. You are essentially going through a sequence of happenings, conversations, actions that the human mind is naturally ready to absorb. Anticipation, anxiety, suspense and so much more emotion is built into a narrative. In the world of podcast interviews, narratives take a special place. When done right, they can be engaging, rich and memorable. They are harder to produce and takes some skill to get them right, but it’s definitely worth the try. Want to listen to a narrative podcast interview? Here’s one I produced where I narrate this conversation I had with a filmmaker who’s documentary movie won an award at the Sundance Film Festival. When you watch a game of cricket or football on television, you see the players playing and a voice over (VO) where a few experts talk about what you are seeing on the television. That’s commentary. When you pass comments that worthy of a listen, you are considered an expert. And the vice versa applies too – if you are an expert, people want to know what you think. Commentaries are popular in podcast interviews too. If you are an expert, you can comment on what someone else has done. But that’s not an interview! Exactly. But you can do the same commentary on a podcast interview too. Here’s how. Say you are an expert in a certain topic. Let’s say it is ‘hacking smartphones’. Now you can have a podcast where you interview other hackers (or ‘smartphone hackers’). Instead of asking them questions, you send them the questions over email and ask them to record their answers as an MP3 and send you the recording. When you produce the episode, you an an intro to the person, play their answers and finally offer your comments on what you liked, what you learnt and so on. Darren Rowse does this nicely with what he calls the ‘Blogger Breakthrough’ series in his ProBlogger Podcast. Here’s a Blogger Breakthrough podcast interview he did sometime back. No matter which of these above 6 types of podcast interviews inspired you, there is nothing that can replace good questions. Someone once told me that. I’m really not sure if that’s an art or a science. But I can tell you that if you can ask good questions, you certainly get good answers. 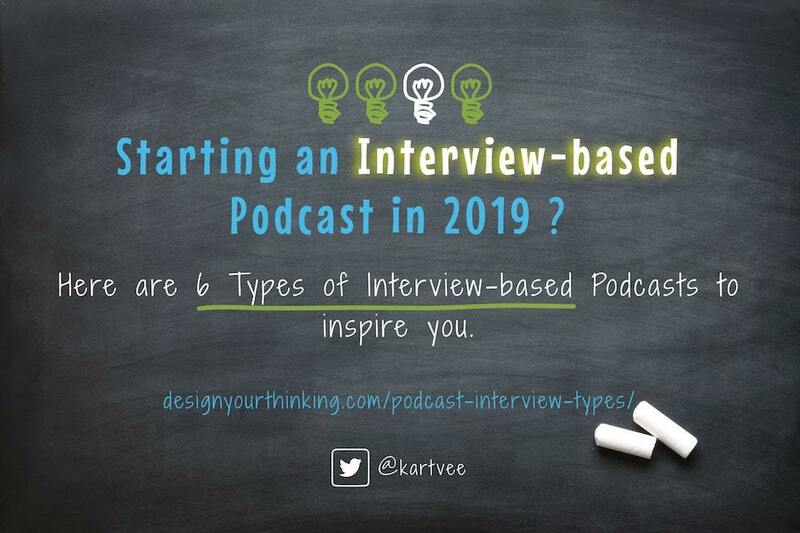 Using one of these podcast interview types or a combination of them is great. But it would all be a washout if you had lousy questions. Ask good questions, pick one of these types of interviews (or combine them!) and I’m a hundred percent sure you’ll enjoy the outcome. Certainly there are more interview types that you might find or create. Should you create something different, let us know in a comment below.